Holy Trinity Parish comprises three churches: St Paul's, Holy Family and Our Most Holy Redeemer. 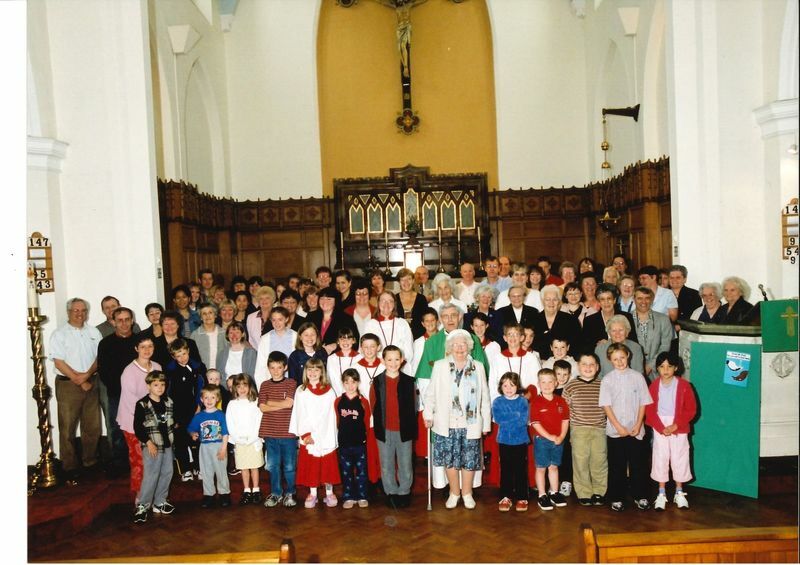 Whilst originally the three churches would have been three separate parishes, by 2007 they had been combined into one parish. The parish covers the areas in Plymouth of St Budeaux, Keyham and Beacon Park and so stretches from the Tamar Bridge, over to HMNB Devonport and the Milehouse area of the city. It is a vast area covering roughly a quarter of the city. There were about twenty of us, mostly of Irish descent, and we lived in the five streets around the church. We were all 'pals' and went to Keyham Barton Primary School and then on to St Boniface's Catholic Secondary. We stayed as altar boys until we were about eighteen years old, and then went on to do either National Service or go to university. We had an annual altar boys rally at Buckfast Abbey for all the Plymouth servers. 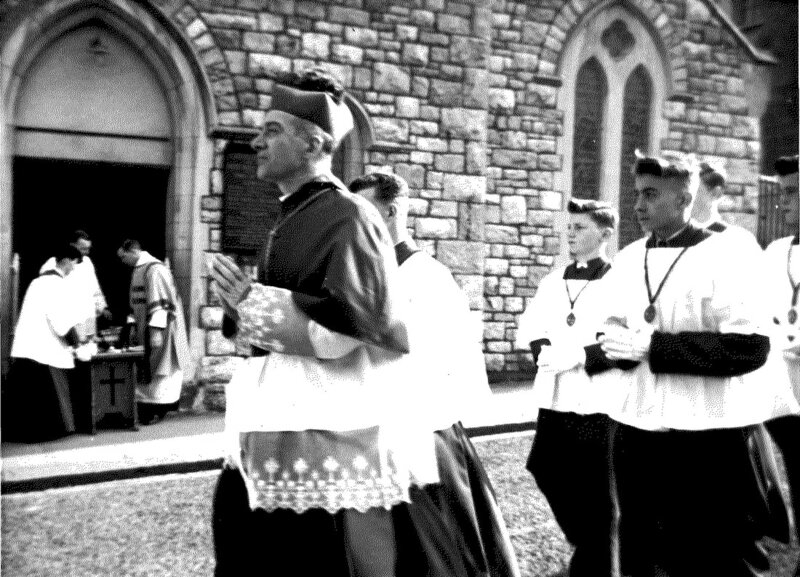 We didn't like it when the Bishop came on his annual visit and brought his own altar boys from the Cathedral to carry his mitre and staff; we gave them the cold shoulder. 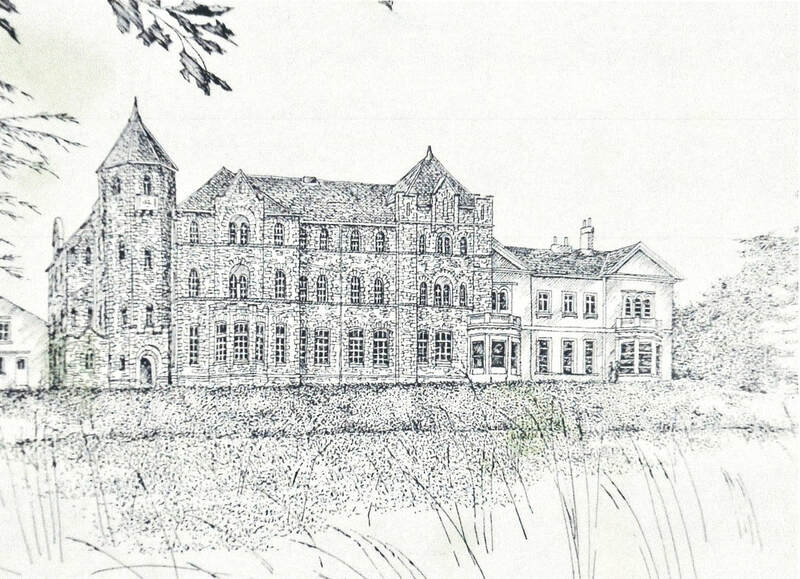 We were no saints and got up to all sorts of bad behaviour - too much to detail. We had a mature altar boy, Tony Mahony, who made us 'toe the line' and gave us a crack if we didn't. Canon Haynor was very strict, no mistakes allowed during the services, and if you made a mistake he would let you know as you did it, and all the church audience would know too. We had three priests, Canon Gaynor, Father French and Father Hahesy (just retired). We had three masses each day - weekdays at 7, 8 and 9am and on Sundays at 8, 9.30 and 11am. The 9.30am mass was for the Navy as their church in HMS Drake was too small. The sailors were marched up in uniform and paraded outside the church before filing in.